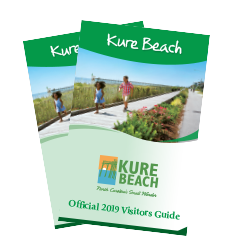 Kure Beach and Carolina Beach, NC – The arrival of autumn brings mild temperatures, more room to explore the beaches’ natural settings because of less crowds, and of course, spectacular fall fishing at Carolina Beach and Kure Beach, located on North Carolina’s southeast coast. With more comfortable fishing conditions and larger species like red drum, king mackerel, flounder and more, fall is ideal for an angler’s getaway. Whether a novice or experienced angler, visitors can hit the water on a charter expedition, compete in a tournament, or cast a line off a fishing pier to reel in a great catch.